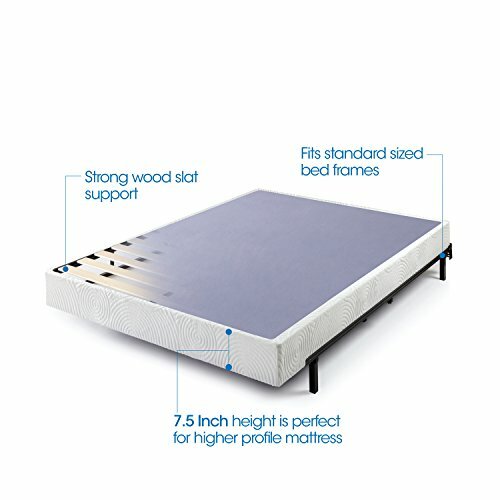 Enjoy the strong support and convenience of the new 7.5 Inch Smart Box Spring by Zinus, offering the look and functionality of a traditional box spring, but made from steel for longer-lasting durability. Wood slats provide strong, comfortable support. Compact packaging allows for tight interior spaces such as stairs and hallways. Easy assembly with all the needed tools included. Worry free 5 year limited warranty. Another comfort innovation from Zinus. Frame and Mattress sold separately. If you have any questions about this product by Zinus, contact us by completing and submitting the form below. If you are looking for a specif part number, please include it with your message. © 2019 - globalsuppliesexpress.com. All Rights Reserved.